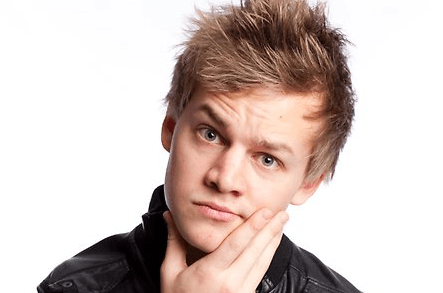 Comedians including Peter Berner, Mikey Robins, Tommy Dean and Joel Creasey (pictured) will perform at a special comedy gala to bring awareness to suicide prevention next month. No Laughing Matter will take place on October 13 at Sydney’s Enmore Theatre and will be screened later on the Comedy Channel. All proceeds go to supporting the National Coalition for Suicide Prevention made up from over 25 partners including beyondblue, Black Dog Institute, headspace, Lifeline, R U OK?, and many other organisations. Suicide is a real and often hidden problem with few people realising suicide is a bigger killer than road accidents or skin cancer in Australia. No Laughing Matter is a partnership between The Comedy Channel and Suicide Prevention Australia and aims to raise money and awareness for suicide prevention. The Comedy Channel will broadcast No Laughing Matter on Friday, November 1 at 9.30pm including a call to action for viewers to donate online at nolaughingmatter.org.au. Pre-sale tickets for the Enmore Theatre event are available to Foxtel customers on sale from Tuesday, September 10 with tickets available to the general public from Friday, September 13. Get your tickets now or tune in to Foxtel and “Laugh for Life” at No Laughing Matter – be entertained, inspired and help make suicide prevention everybody’s business.